This year’s 19th European Health Forum Gastein (EHFG) took the guiding theme of ‘Demographics & Diversity in Europe – New Solutions for Health’. As the leading event of its kind, the Forum aims to develop European health policy with input from national and regional authorities and decisionmaking bodies. Its main supporters include the European Commission and the World Health Organization Regional Office for Europe. From 28-30 September 2016, UNU-MERIT’s Prof. Angela Brand and Researcher Sebastian Schee genannt Halfmann joined around 600 other participants representing government, business, civil society and academia, including Nobel Laureate Prof. Paul Krugman. Their goal was to create a healthier Europe through high-level networking and agenda setting, while bridging the gap between research, practice and policymaking. One of this year’s keynotes was presented by Paul Krugman, Winner of the 2008 Nobel Prize in Economics and Professor of Economics and Distinguished Scholar at the Graduate Center, City University of New York. In his speech ‘Greying Baby Boomers – A Twofold Challenge‘ Krugman talked about demography, macroecomics and the sustainability of social and healthcare services. His message was that Europe and its healthcare systems face a major challenge over the next decade as the ratio of retired people to working people changes. Indeed, “the EU, as a whole, is already a zone of declining working-age population”. 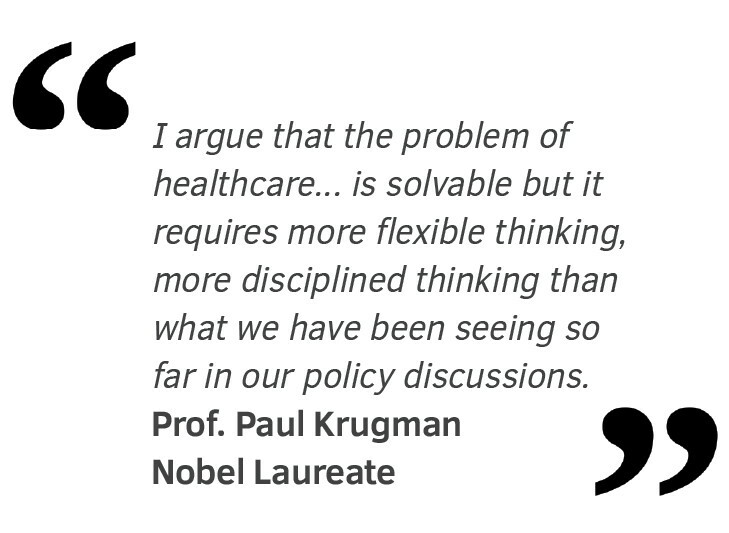 Despite the difficult outlook, Krugman was optimistic: “I argue that the problem of healthcare, which is part of the broader problem of retirement in a demographically changing world, is solvable but it requires more flexible thinking, more disciplined thinking than what we have been seeing so far in our policy discussions”.